EXPORT INQUIRES FOR BULK QUANTITY IS WELCOME. - Calcium Sennosides is biggest product commercially for Bioprex Labs. 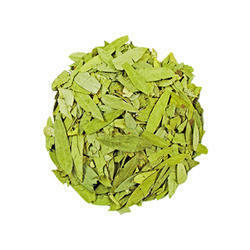 We Shreedha Phyto Extracts is a leading supplier and exporter of Senna Leaf Extract. Senna is an Arabian name and the herb was first brought into use by the Arabian physicians Serapion and Mesue. Traditionally Senna was used in love sachets. Plants growing at different localities of India have also been found to contain different amount of sennoside B in leaves and pods, and also differ in chromosome morphology. We are exporter of Calcium Sennosides. It is available at market leading prices. Senna is an excellent laxative. Brand: Ambe Ns Agro Products Pvt Ltd.
1.Calcium Sennoside A&B 20%, 40% and 60% as per USP/ BP Grade. We are GMP & ISO 9001 certified manufacturer and exporter of Herbal Extract, Nutraceuticals and Phytochemicals products, we are please to offer Senna Extract as below specification. Senna Extract is effective short-term treatment of constipation. Senna is an FDA-approved nonprescription drug for adults and children. Senna contains many chemicals called sennosides. Sennosides irritate the lining of the bowel, which causes a laxative effect.